Since the day I pinned the image of these asparagus I have made this recipe at least 5-6 times, and every single time I love it to bits. I was never a massive fan of greens (I know, shame on me!) and while I did eat asparagus occasionally they weren't my fave... I found them a bit... meh, if you know what I mean? I then came across this pin from Once Upon a Chef and decided to give it a go. And let me tell you, it's going to be the one recipe I will be doing over and over for years to come. 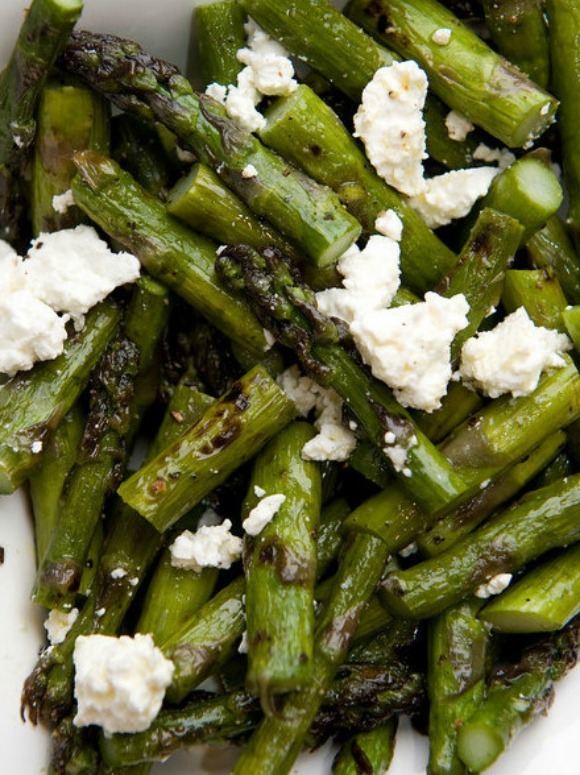 These grilled asparagus with feta and lemon zest are the most scrumplicious side ever, and I'm sure it can be eaten as a yummy lone salad too. Give it a go, the recipe is here. Come and tell me what you think! Looks delicious! 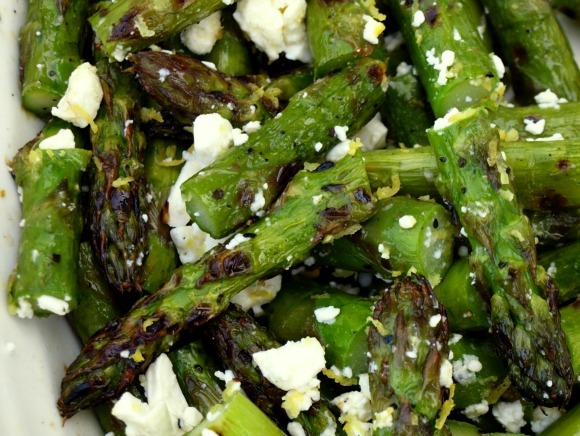 Asparagus, feta, lemon, and grilled...perfect for summer! I'll be trying it! Let me know what you think Dianne if you make it! Mine is in the oven at the oven, dinner! !